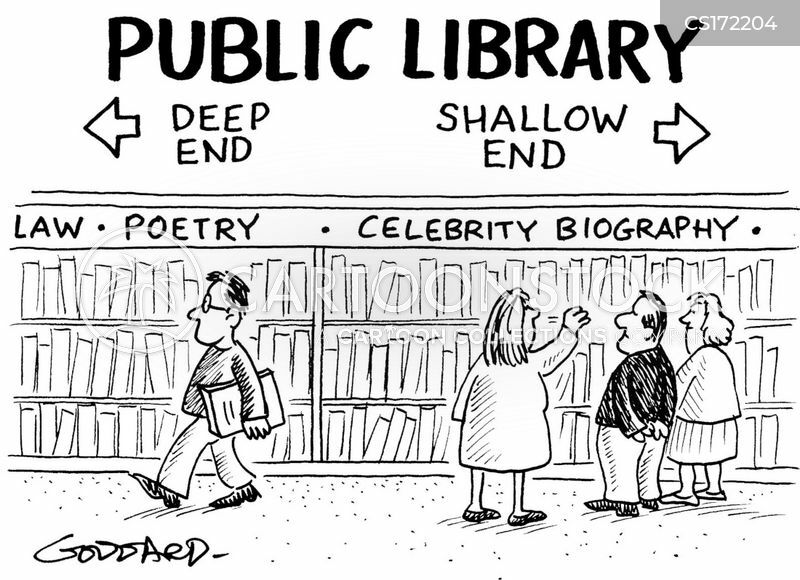 Quality of Content in Public Libraries. - Politics, News, and Hypocrisy - Chickensomething What Are You Afraid Of? Recently, I heard a story about a library in Berkeley weeding out and destroying books. Even the librarians, themselves had no say it the content destroyed. Policies and procedures are changing and not for the better. Over the years, I have noticed a certain kind of diminished quality in the content provided. Older books are disappearing. Too many titles and authors of the past seem to be disappearing in print. Great books of literature being destroyed in favor of the more slick and modern pulp you see today. Small example: In my area, Taylor Caldwell's first book 'Dynasty of Death' is no longer in the catalog. It's a novel about gun manufactures and their dealings. In her day she was quite popular. A best seller! Opus Dei controls the information that members of the organization have access to. For example, members must ask permission of their spiritual directors before reading any book, even if it is required reading for a university course. The director checks the title against a list which is usually kept under lock and key in the Director's office. This list is based on one that was used by the Roman Catholic Church until 1948 (see link below for the 276-page list). Though the Catholic Church has abolished the list, Opus Dei still uses it and has added even more books to it. Some of the authors on the original list include Victor Hugo, Immanuel Kant, Honoré de Balzac, John Locke, Rousseau, Voltaire and Emile Zola. Libraries have a crucial role in preserving access to information. That role is not changing, but the challenges of preserving that access are constantly changing. New services combined with widespread Internet spying mean that librarians need to be savvy about the new threats to their patrons' privacy and take steps to maintain that privacy, whether patrons are reserving books from home or browsing the Internet on library-provided computers. It will take a lot of work, but EFF is confident that the library community is up to the task. Ever wonder what some people read for relaxation? Ever wonder what Bin Ladin Read for fun? On May 20, 2015, the ODNI released a sizeable tranche of documents recovered during the raid on the compound used to hide Usama bin Ladin. The release, which followed a rigorous interagency review, aligns with the President’s call for increased transparency–consistent with national security prerogatives–and the 2014 Intelligence Authorization Act, which required the ODNI to conduct a review of the documents for release. - The quality of content in libraries is absolutely appalling lacking any substance and knowledge needed to provoke thought. No wonder America has gone to hell in a hand basket. Look at Water's World or the old Jay Leno questionnaires and the answers as well as ignorance is unreal. Sly and ever so insulting! Spoonfuls of too much sugar. Lots and lots of sweet decadent sugar. Speak with librarians on their cigarette breaks about getting some of those throw-a-ways for free. Pass them to others whom you know will read them and ask them to do the same. Keep paying that book forward until it wears out. Maybe it'll get chunky reviews in the community memory bank. Expanding the collective network of hard drives with good hard data. Keeping an eye out for the pulp virus'. Churches and their charitable kitchens are a good place to give away a pile of books. Most do find a way into the eager hands of constant readers. Mostly, the product provided are stories of adventure with lots of explosions. Killing and spies lying to fulfill selfish agenda. Loaded with lustful intentions and laughing with grandiose avarice. Reveling in decadent glory and proclaiming God is Great while passing the basket to tax us all of our innate virtues. 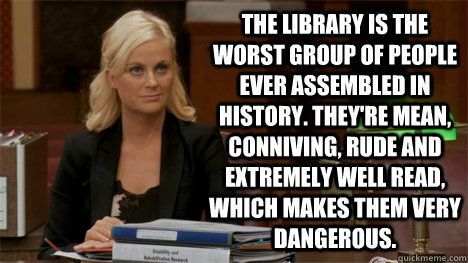 A truly great library has something to offend everyone!